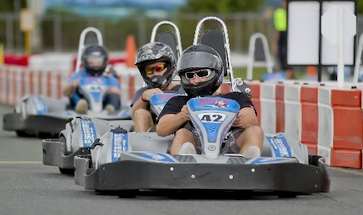 Go Karting makes for a special occasion that breaks from the everyday routine to create a memorable day out, and this awesome Gold Coast go-karting location has 4 levels of karts to suit varied levels of ability and experience. Families, children, adults and friends will all appreciate and enjoy the gift of speed that a day of fast fun and excitement of go-karting can provide. 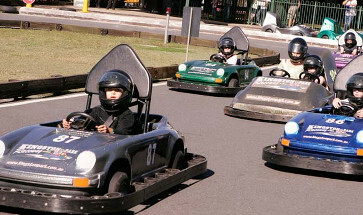 With safety bumpers, kids as young as 5 years can experience all the epic thrills of the go-kart in a safe and well-organized day of fun. 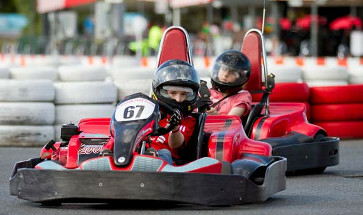 Send the kids for an action-packed day on Gold Coast with a go-karting ride on the Indy Circuit to experience the Kids Go Zone & Sideshow Alley. The perfect adventure for all go-karting skill levels, you can buy this experience as a voucher and gift it now or later for any and all occasions! Gift someone the chance to get behind the wheel of a powerful Schumacher cart at Kingston Park Raceway. Buy this experience as a gift voucher online here!